The bathroom is a room where one begins and ends his day. 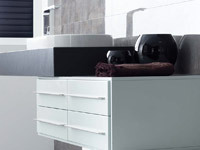 Bathroom space is intended not only for basic hygiene, but also for relaxation. 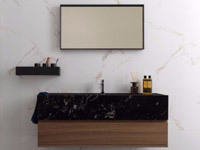 Therefore, we emphasize the size of the space and equipment to be in your new bathroom to feel comfortable and able to enjoy a well-deserved rest and comfort. 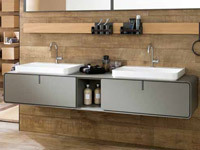 Recently, the bathrooms were built as a necessary accessory in the apartment. The bathroom was a room for the execution of basic needs, while did not put emphasis on comfort and aesthetics. Thw size of the bathroom and the toilet was very limited, the room was not particularly pretty and had lacked accessories and paraphernalia, without which today's bathrooms can hardly imagine. Bathroom also can be used for healing for example. Hydro massage (whirlpool bath), sauna, steam bath and chromotherapy. 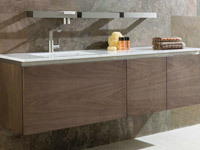 We can adapt the bathroom to the style of the house ; Classical or modern. 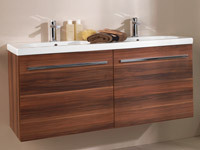 Tell us your bathroom and let us realize your idea of a dream bathroom. In cooperation with our experts, it will be a real pleasure. 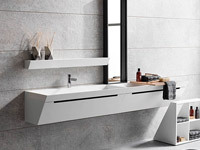 Without wich interior details you can not imagine bathrooms? Of course, without mirrors, needing both women and men. 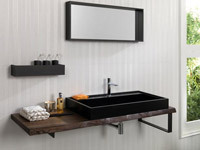 The simplest option is to hang a shelf with a mirror above the sink. If you want to create interesting interiors, for example you can highlight the mirror with a wall lamp. 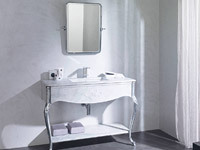 If you want to visually enlarge the space of the bathroom, for example you can decorate the entire ceiling with mirror. 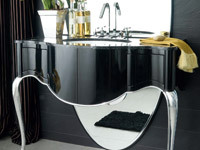 Generally mirrors, are not only to decorate the bathroom, but they are also important accessories in the interior. As a rule, if you have small bathroom, get a bigger mirror. 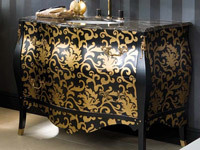 price - luxury bathroom furniture is made of glass, metal alloys or real wood, so it is important to know the budget for bathroom amenities. 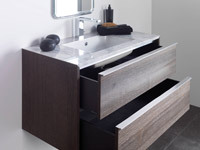 A standard set of bathroom furniture consists of free-standing cabinets, wall cabinets, shelves and cabinets under the sink. 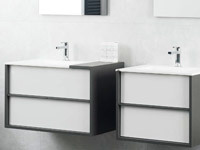 When choosing bathroom furniture is ideal if all the fixtures and fittings are of the same series. Avoid the difference in the style of the pieces. 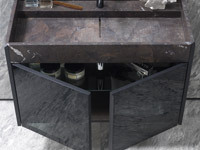 When choosing a worktop, pay attention to the material of which the board is made, as it is a place that is the most affected is necessary to choose strong and durable material such as. KRION®. 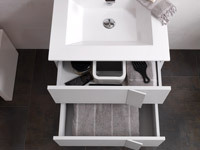 If your bathroom has little space, we can use all kinds of wall cabinets, shelves and bathroom accessories. You will enjoy the clarity and order in the bathroom. 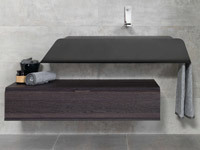 It seems that it would be possible to dispense with and without them, but as bathroom accessories are hooks, soap dish, liquid soap dispensers, towel racks, toilet paper holders and toilet brushes, help create a uniform style for your bathroom. In our bathroom studio Porcelanosa Grupo , awaits you professionally trained staff that is ready to listen to your needs and requirements. We approach each client individually, providing expert advice and consultation. 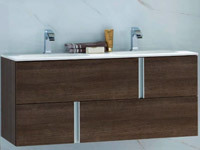 We offer you to design your bathroom using a professional 3D visualization software , where you will see how each part of the bathroom might look like. Come and tell us about your idea and we'll do the rest.